This hand-crafted silver bracelet represents the pinnacle of quality and echoes timeless elements of nature. The jawan design on the clasp evokes ancient designs found on sacred ceremonial objects. 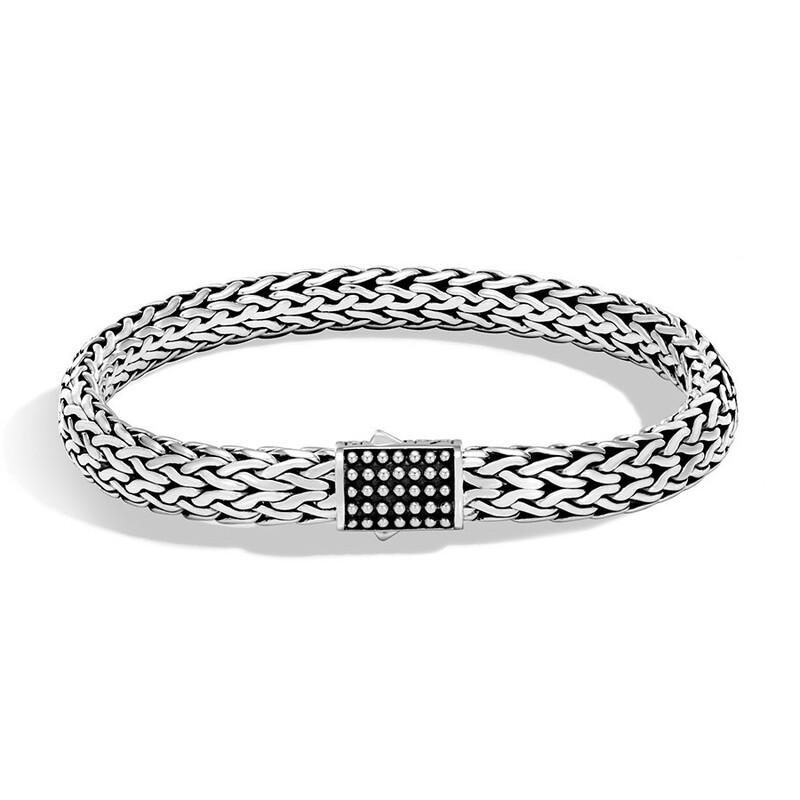 In this bracelet from the Classic Chain collection, the traditional style gets a sleek and modern update.